At Metelec, we carry a wide range of sulphur copper C111. Our sulphur copper C111 is manufactured in Europe. 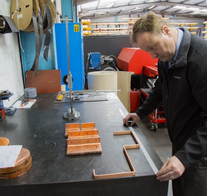 Most of our sulphur copper C111 is available from stock and all bespoke products within the scope of our manufacturing range can be made available on short lead times. The stock range of sulphur copper C111 is unrivalled but to get a full appreciation of how diverse this range is please give us a call on +44 (0)1922 712665. Coppers of commercial purity used for electrical purposes are mainly specified for the manufacture of components when there is a need for their high conductivity, corrosion resistance and ductility. Because of their softness, they are not the easiest to machine though not difficult using recommended procedures. However, with the addition of other elements such as sulphur it can be made to produce 'free machining coppers' with only a slight effect on conductivity. 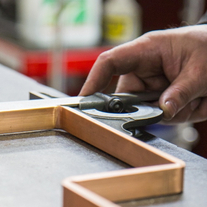 The introduction of sulphur to copper has the effect of cutting the chips into short pieces thus enabling a much higher machining speed than is possible with pure copper. 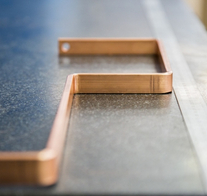 As far as machining is concerned this material can machine up to 4 times the speed of copper and a greater life expectancy is also found on the tooling. 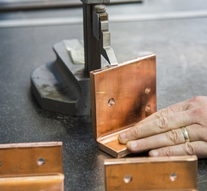 Sulphur copper C111 / C14700 / CW114C is suited to those components that require extensive machining. A typical application is gas cutting nozzles, which involves drilling small holes and swaging to the final shape, electrical applications and various other electrical switches on power semiconductors.